A seemingly IT inspired teaser has appeared for AHS: Freakshow. Check it out below. 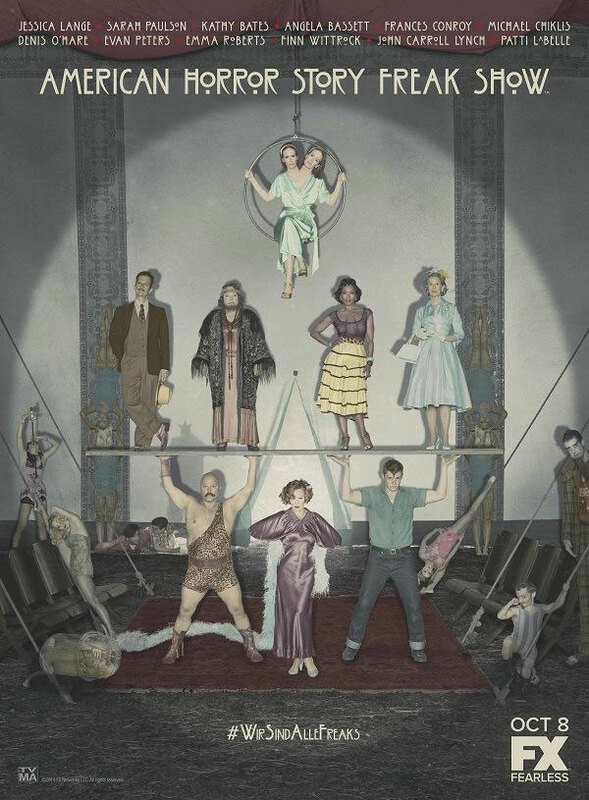 The show will star returning Jessica Lange, Kathy Bates, Angela Bassett, Frances Conroy, Sarah Paulson, Emma Roberts, Gabourey Sidibe, Denis O'Hare, Jamie Brewer, and Evan Peters. New cast members includes Michael Chiklis, Wes Bentley, John Carroll Lynch, Finn Wittrock, Matt Bomer, Patti LaBelle and the world’s smallest living woman, Jyoti Amge. AHS: Freakshow begins 21st October 2014 in the UK.